Jamie Foxx demos Siri's new features. Apple has signed up a bevy of celebrities to push its new iPhone 6s, this week bringing in Jamie Foxx to show off Siri's new capabilities. The singer and actor stars in two spots that demonstrate hands-free Siri, a new function introduced with the iPhone 6s. 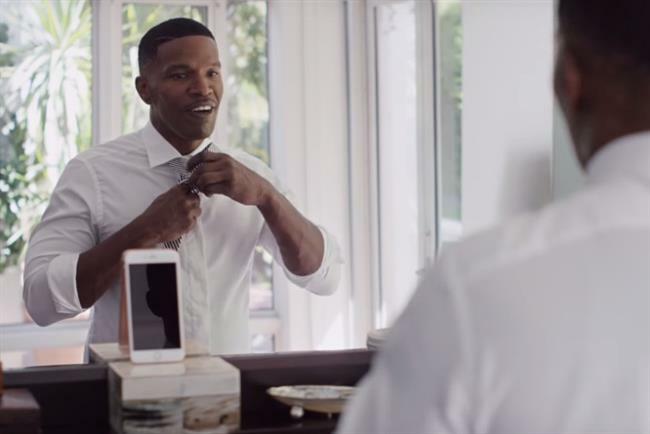 In the first spot, Foxx's iPhone 6s lies in front of him as he puts on his tie. With perhaps unintentional pathos, he asks Siri how he looks before the device gives a flirtatious response. In the second ad, Foxx uses Siri to pick his next script. And in a third ad, a voiceover talks through the iPhone's improved camera capabilities, including using the screen as a flash for brighter selfies.